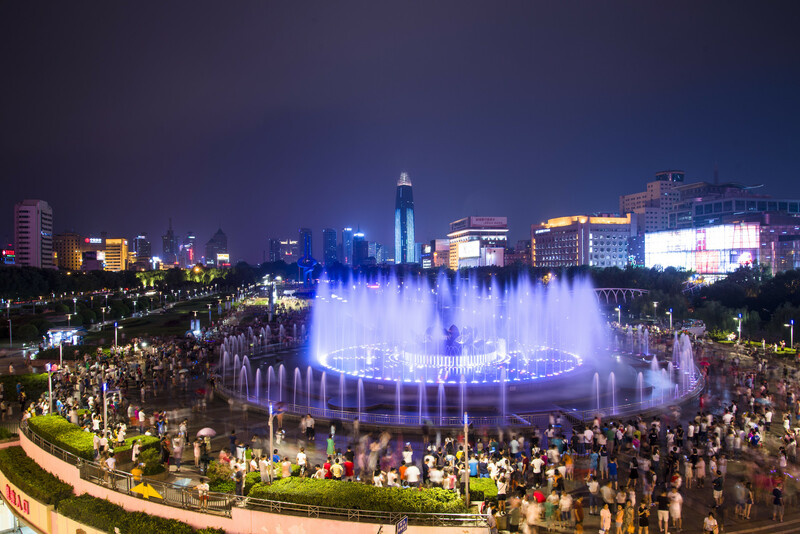 Capital of Shandong Province, Jinan is known as "The City of Springs"
The capital of Shandong Province, China is well-known as the “spring city” because it has the most pleasant climate throughout the year and 645 springs. Jinan City is blessed with magnificent natural landscapes and ancient cultural relics. Different people have different reasons for visiting the city of Jinan. Budding archaeologists and historians are attracted by the anthropological and historical relics which are exhibited in the museums. Naturalists are enamored by its picturesque surroundings like Tai Shan (Mount Tai), Yellow River, and several other water bodies. While the staunch followers of the Communist regime consider the city a place of pilgrimage due to its revolutionary memorials. Jinan City along with its surrounding areas was the birthplace of the famous Longshan Culture of the prehistoric era. 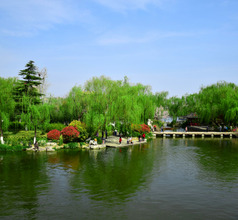 Also, the word “spring” plays an important role in Jinan’s history. From the last 700 years, during the Jin, Ming, and Qing Dynasties, countless springs and scenic areas were discovered, the most famous among them being the Baotu Spring. Due to fertile lands and equable climatic conditions, even in ancient times, the city has been a great cultural, financial, and political center. 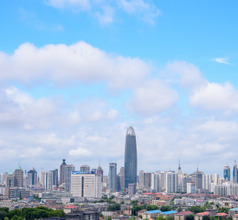 Today’s Jinan City is an awesome mix of urbanized infrastructure, high-rises, recreational centers, shopping malls, traditional markets, ancient monuments, unique folk customs, scenic areas, clubs, bars, and more. The city offers something special for every type of domestic and overseas tourist. 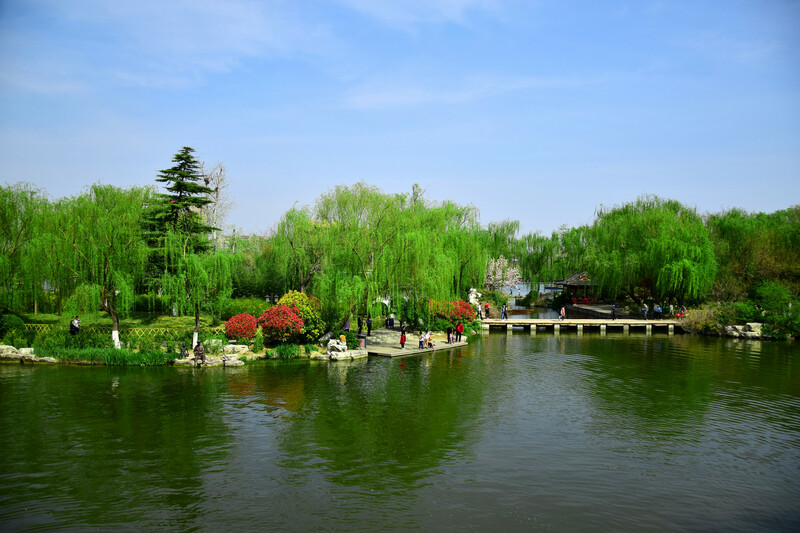 There is plenty of choices as far as accommodation in Jinan City is concerned but the resorts around Daming Lake are the most popular because of the picturesque vista. One can choose from 3, 4, and 5-star located near the lake and elsewhere in the city. 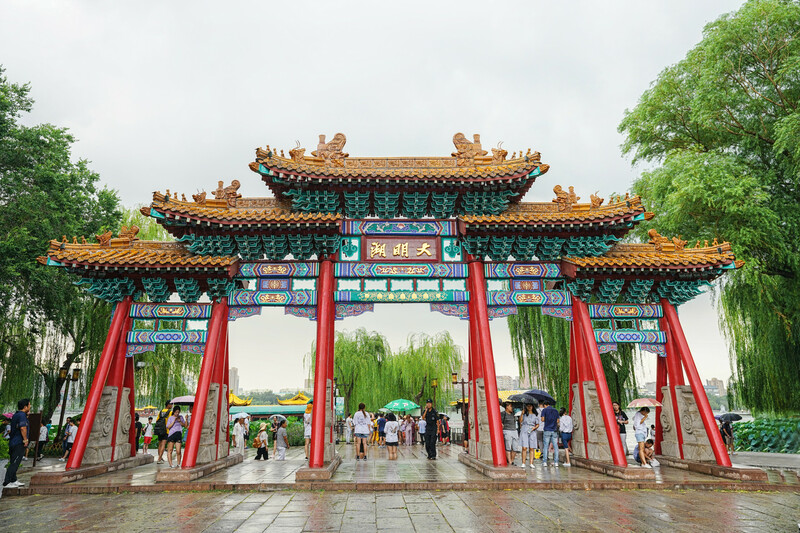 The tourism and hospitality sectors are highly evolved in Jinan. So the hotels usually have beautifully designed spacious rooms, in-house multi-cuisine restaurants, and 24x7 housekeeping and other services. For those traveling on a smaller budget, there are several choices like grade-one hotels, service-apartments, inns, youth hostels. 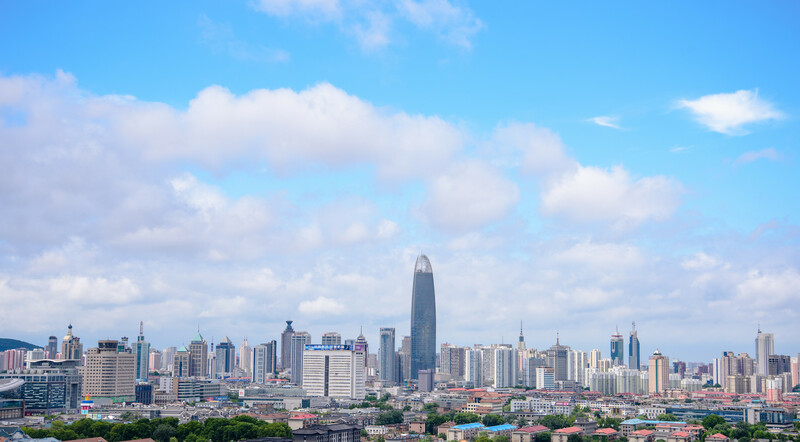 Although Jinan is a modern city where a majority of the locals may understand English, downloading a suitable voice-based translation app will prove useful especially while sightseeing in the remote areas. 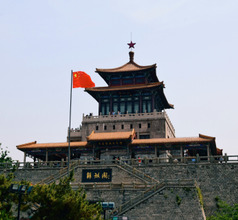 Most of the popular tourist attractions of Jinan City lie within a short radius of the city’s center. The usual tourist circuit starts with the picturesque Daming Lake. This attraction is graded as a 5A site. The lake is so large that it has six islands covered with lush greenery and ancient pavilions. Visitors can enjoy boating and yachting on the lake. In the summer season, the lake looks like a colorful carpet of blooming lotuses. The lake park also has a unique “strange stones” museum and restaurants within its perimeter. 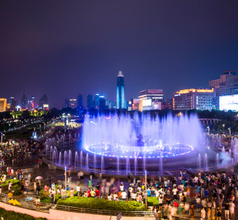 The Baotu Spring Park is another popular 5A attraction and a must-see of Jinan City. The park’s scenic area includes ancient pavilions, landscaped gardens, museums, memorials, etc. besides the beautiful Baotu Spring itself. The Yellow River Forest Park is another must-visit of Jinan City. This wonderfully scenic area is so vast that it consists of an ancient-style floating bridge and an entire ethnic village. The banks of the river are the perfect place for picnics and BBQs. 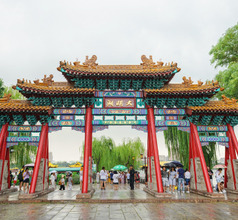 Another ancient relic in Jinan one must not miss is the beautiful Four Gates Pagoda. 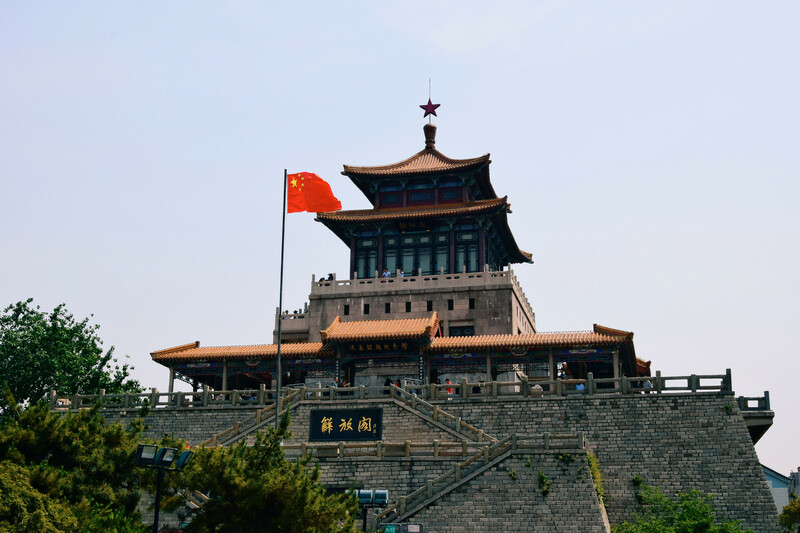 This single-storied stone tower was built in 661 AD and is the oldest existing one-story tower in China. It is not immense like some of the 6 and 7-stories structures in the rest of the country. But it has some unique features like the artistically crafted 6th-century Buddhist statues and 1,000-years-old cypress trees that are still thriving. The Buddha art in the Qianfo Mountain Scenic Spot is an amazing sight! This park consists of some of the most spectacular gardens and the large golden Buddha statues. It also has several temples and numerous ancient stone statues. The Shandong Revolutionary Martyr's Cemetery is also in the vicinity. Other equally scenic springs in the region are the Black Tiger Spring, Five Dragon Pool, Zhongshan Park, Xiaoqing River, Jiangshui Scenic Area, and more. Jinan Yaoqiang International Airport is in the northeast of Jinan’s epicenter with a distance of 33kms. Its traffic comprises of 22 airlines making the rounds to almost 40 local airports and more than 12 international destinations with a recently launched direct Sichuan Airlines flight to Los Angeles. There are 2 airport shuttle lines and 2 city bus lines making the rounds at RMB20 while taking an hour whereas a taxi to downtown takes 40 minutes. The cuisine in Jinan City is well-known for its aromatic and delicious food made from fresh ingredients. They use several methods of cooking like deep-frying, grilling, frying and stir-frying without making the dishes too greasy. Wholesome soups are a popular feature of Jinan cuisine. The signature dish of the city is the Jinan Roast Duck. This is a scrumptious dish and definitely a must-try. Some of their other delicacies are sweet and sour carp, fried pork Chitterlings, sautéed chicken cubes with chilies and peanuts, Quancheng steamed stuffed buns, fried dumplings, Five-Stuffing Steamed Buns, etc.